This pumpkin has a center layer to make it more 3d. When you cut it you will see an extra oval. 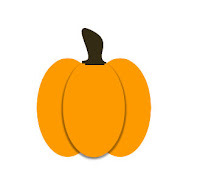 I think it looks great on pop dots to give that pumpkin a better look. It also looks great inked! 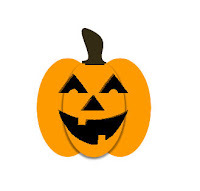 In the All SVG Download there are a couple faces that look great on this pumpkin as a bonus. Info about the download is in the sidebar.